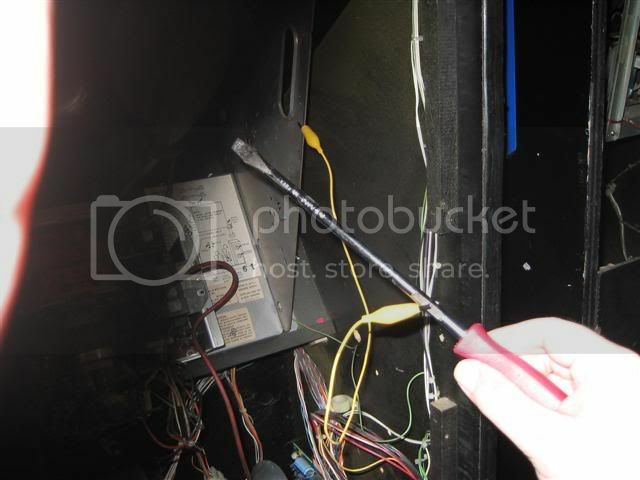 - Get a flat bladed screwdriver with a long shaft and insulated handle. - Attach a wire to it (alligator clips are good for this). 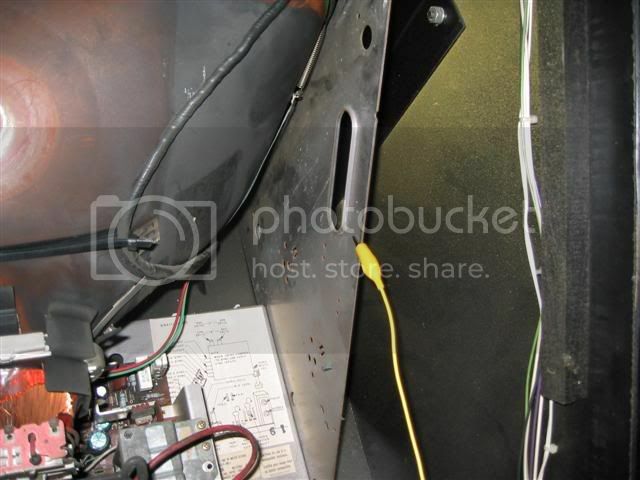 - Attach other end of wire the the metal chassis of the monitor. 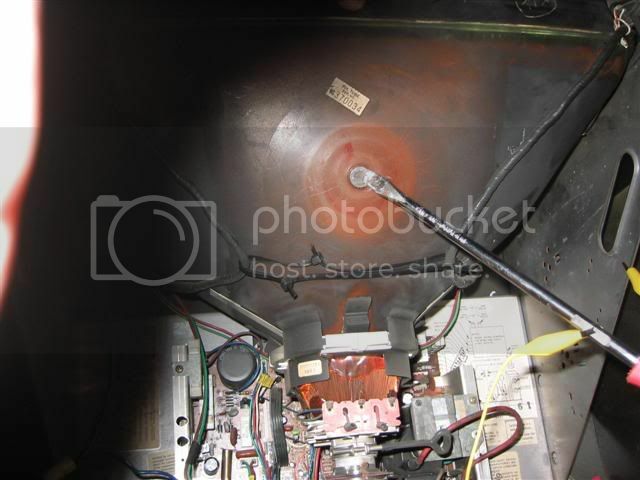 - Slide the flat end of the screwdriver under the anode cap (looks like a suction cup) and touch the anode connector with it - you might get a crack and/or flash but sometimes not. 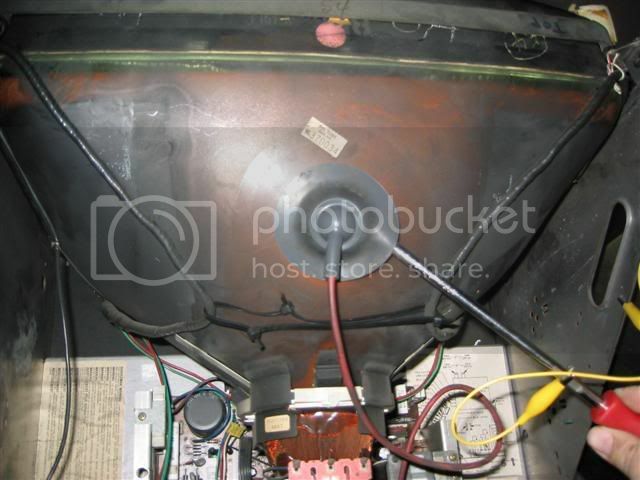 - Before putting the chassis back in again I always discharge the monitor again.